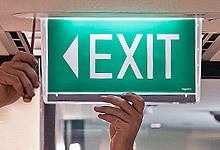 "Interior and exterior office, retail and commercial lighting solutions"
Our skilled staff have extensive knowledge and experience in supply, installation and maintenance of all forms of emergency and exit lighting. Naturally all our electrical work is guaranteed, with warranty periods specific to the fittings chosen. 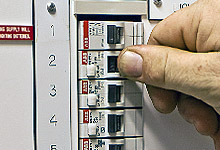 We use only the highest quality electrical fittings and all our tradesmen are fully qualified. Today’s economic trends have changed with the rising cost of energy affecting many businesses’ bottom line. 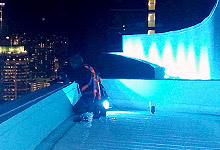 We specialise in the design and installation of Sustainable and Energy Saving Retro-Fit solutions guaranteeing a reduction in energy costs coupled with a more effective lighting management system for each unique environment. 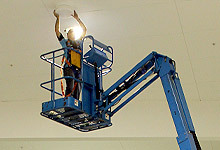 We also provide all types of electrical lighting and emergency lighting work from as simple as changing a light switches or light bulb to designing and retrofitting a building to testing and implementing emergency and exit lighting.